Matt Bondurant received his B.A. and M.A. in English from James Madison University, then went on to earn a Ph.D. in English – Creative Writing from Florida State University. Matt’s latest novel The Night Swimmer (Scribner) was published in January, 2012, and was featured in the New York Times Book Review, Outside Magazine, and The Daily Beast, among others. His second novel The Wettest County in the World (Scribner 2008) is an international bestseller, a New York Times Editor’s Pick, a San Francisco Chronicle Best 50 Books of the Year, and was made into a feature film (Lawless) by Director John Hillcoat, starring Shia Labeouf, Tom Hardy, Jessica Chastain, Mia Wasikowska, Gary Oldman, and Guy Pearce. His first novel The Third Translation (Hyperion 2005) is an international bestseller, translated into 14 languages worldwide. He has published short stories in such journals as Glimmer Train, The New England Review, and Prairie Schooner, and his latest short story appears in the Dallas Noir anthology published last year. 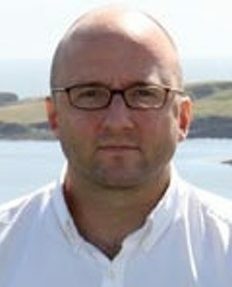 Matt has written feature articles, essays, and reviews for Outside Magazine, Newsweek, and the Huffington Post, among other magazines and newspapers. His most recent non-fiction feature articles appeared in Texas Monthly magazine, including a piece about competing in the Texas Water Safari – “The World’s Toughest Canoe Race.” He has sold two original screenplays and in 2013 he secured a development deal with HBO/Cinemax to write and executive produce an original one-hour dramatic series. He has published poems in The Notre Dame Review and Ninth Letter, among others, and his poetry is featured inImaginative Writing, the most widely adopted creative writing text in the world.